This comparison has upset more Yeovilians than any other. 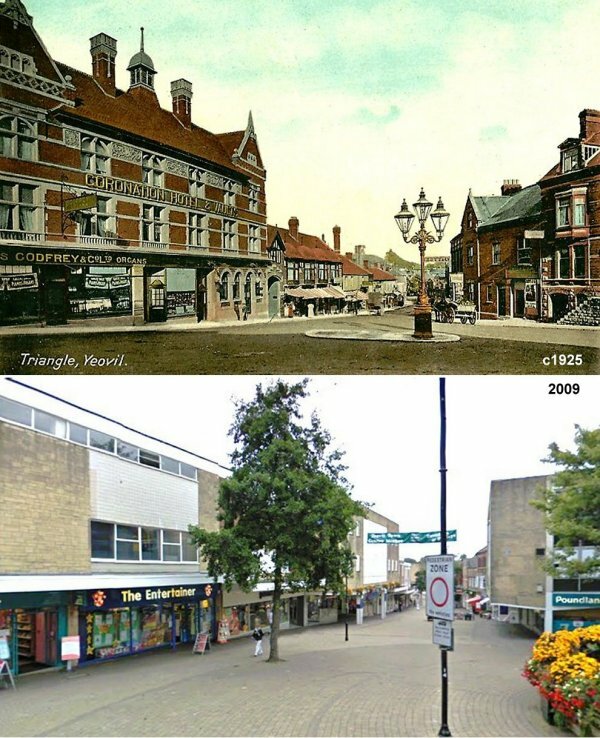 No surprise there then as the concrete blight of the 1960's changed the country town character of the town forever. At left is the splendid Coronation Hotel & Vaults. Bloody criminal if you ask me.